In our Barbados Photo Gallery, you will find photos of many attractions, apartments, and hotels in Barbados. You can also view the photos of many restaurants and shops to give you an idea of the view available to you in Barbados. In a place as picturesque and quaint as the island of Barbados, words are never enough to describe its true essence and beauty. A picture is worth a thousand words, but a picture of Barbados is worth a million words. Simply click on a button to see the photos of the location, place or business appear at the bottom of the page. Rated "Barbados' No. 1 for Food" by the 2010 Zagat Guide to the Best of Barbados, Zen, is The Crane's Asian restaurant. This sophisticated dining space is open for dinner only and offers a combination of Thai and Japanese cuisine. Top Food" rating of all restaurants on the island of Barbados. Zen offers guests the traditional Tatami rooms, an exquisite sushi bar framed by an all-glass wall overlooking Crane Beach and booths for private dining. Solar panels from Solar Energy Innovations Barbados. Solar Energy Innovations in the Caribbean Island of Barbados. Renewable Energy in Barbados created by Solar Energy Innovations. Barbados Energy Efficiency created by Solar Energy Innovations. Civil Aviation by Solar Energy Innovations. Barbados Cricket at Kensington Oval - Solar Energy Innovations. North Shore Dental and Solar Energy Innovations. Restoration Ministries and Solar Energy Innovations. Solar Tanks and Collectors from the production line at Solar Dynamics Ltd. Finished Solar Dynamics Collector Panels. Solar Dynamics Hot Water System at The David Thompson Centre in St.John. Mighty Gabby upgrades to Solar Dynamics and always has hot water now. Serving drinks at Seahorse Restaurant and Bar. Seahorse Restaurant and Bar is a new dining experience in St. Lawrence Gap, Barbados. Rolex Available at the Royal Shop in Barbados. Buy Diamonds Rings in Barbados from the Royal Shop. Buy Guess watches in Barbados from the Royal Shop. Buy wedding rings at duty-free discount prices at the Barbados Royal Shop. Exterior of the Barbados Royal Shop located in Bridgetown Barbados. Buy duty-free wedding rings from the Barbados Royal Shop. What you see when you enter the Barbados Royal Shop. Jewelry and Watches are available at the Royal Shop in Barbados. Be sure to visit the Royal Shop in Bridgetown Barbados for duty free items. Diamonds and Jewelry in Barbados available at duty free prices at the Royal Shop. Watches and Rolex timepieces for sale in Barbados at the Royal Shop. Valentines Day in Barbados with the Royal Shop. What is the time in Barbados? Go to the Royal Shop and find out. What is the time in Barbados? Show Case of Jewelry in Barbados. Top Quality Watches available at duty free prices in Barbados. Couples, Groups, Honeymooners and Wedding Vow Renewals can all be arranged with Rostrevor Weddings in Barbados. The perfect location for small executive or social gatherings - Rostrevor Meetings in Barbados. Rostrevor Hotel located on the south coast of Barbados in St. Lawrence Gap. 2018 Guest Review Award from BOOKING dot com - Plum Tree Club Apartments in recognition of hard work day after day, guest after guest. Stay at Plum Tree Club Apartments in a bedroom with single beds. Stay at Plum Tree Club Apartments in a bedroom with king sized beds. Long term and monthly rates available when choosing to stay at Plum Tree Club Apartments in Barbados. Comfortable and convenient when you stay in Barbados at Plum Tree Club Apartments. Fully furnished living room with Wi-Fi when staying at Plum Tree Club Apartments in Barbados. Plum Tree Club Apartments available with living room and pull out sofa bed. Large comfortable living room available at Plum Tree Club Apartments. Plum Tree Club apartments are perfect for BBQ's. Relax and rejuvenate at Plum Tree Club Apartments. Stay at Plum Tree and play at Rockley Golf Course in Barbados. Barbados apartments in tranquil gardens. Relax with your own private balcony in Barbados at Plum Tree Club Apartments. Peaceful and relaxing but still near to all the action - that’s Barbados Plum Tree Club Apartments. Take a break from the pool for a round of golf at Rockley Golf Course in Barbados. Cool off in the Plum Tree Club pool in Barbados. Go swimming in the pool at Plum Tree Club Apartments. Dining View of Paulos Churrasco Do Brasil in St. Lawrence Gap. Bar and Restaurant at Palm Paradise Guest House. Living Area at Palm Paradise Guest House. Blue Room at Palm Paradise Guest House. Blue Room Bathroom at Palm Paradise Guest House. Green Bedroom at Palm Paradise Guest House. Green Room Bathroom at Palm Paradise Guest House. Paradise Suite at Palm Paradise Guest House. Paradise Suite Bathroom at Palm Paradise Guest House. Terra Cotta at Palm Paradise Guest House. Yellow Room at Palm Paradise Guest House. Pink Room at Palm Paradise Guest House. Rum and Cocktail tours help you enjoy the Mount Gay Visitors Experience. Barbados Rum - Souvenirs and things to take home. Lucky Horseshoe Barbados Mudslide - voted the best in Barbados. Lucky Horseshoe Barbados Fish Cakes : Caribbean favourite combining salted codfish with spices and herbs. Lucky Horseshoe Barbados Coconut Curry Shrimp : Shrimp sauteed in a coconut and Curry sauce, served with rice and seasonal vegetables. Lucky Horseshoe Barbados New Yorker Steak : A center-cut 10oz striploin grilled how you like it..
You can enjoy specialty cocktails at Lucky Horseshoe Barbados. Lucky Horseshoe Barbados Chocolate Heaven: Chocolate Ganache set on a biscuit base served on a warm caramel. Lucky Horseshoe Barbados Club Sandwich: A triple decker served with chicken, bacon, cheese, lettuce & tomato. Lucky Horseshoe Barbados Chicken Pasta: Fettuccine, onions, peppers with chicken in a garlic cream sauce topped with fresh Parmesan. Lucky Horseshoe Barbados Teriyaki Steak: 10 oz tenderized flank in our house teriyaki marinade. Lucky Horseshoe Barbados Fried Shrimp: Caribbean shrimp fried with a sweet chili dip. Happy couple with the catch of the day while fishing on Legacy Barbados. Caught aboard Legacy Fishing Charters Barbados. Lovely Wahoo Catch aboard Legacy Fishing Charters in Barbados. 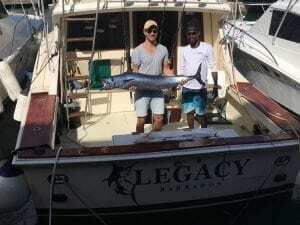 Successful Fisherman aboard Legacy Fishing Charters Barbados. Wahoo - Catch of the Day on Legacy Fishing Charters in Barbados. Barbados Catch on Legacy Fishing Charters Barbados. Happy Little Lady with catch aboard Legacy Barbados. How to get to Legacy Fishing Charters in Barbados. Path to Legacy Fishing Charters in Barbados alongside the Careenage in Bridgetown, Barbados. Careenage in Bridgetown where you will find Legacy Fishing Charters in Barbados. Sign Posted before boarding Legacy in Barbados. Lets Go Fishing in Barbados aboard Legacy Fishing Charters. Where to board in Barbados Legacy Fishing Charters in Bridgetown. Interior of Legacy Fishing Charters in Barbados. Beds and Cabins aboard Barbados Legacy Fishing Charters. Place to Rest on Legacy Fishing Charters. Interior Cabin aboard Barbados Legacy Fishing Charters. Fishing Rods aboard Barbados Legacy Fishing Charters. Hop aboard Legacy Fishing Charters in Barbados. Party aboard the Black Pearl Party Cruises with the Jolly Roger. New flower discovered in Barbados - Flower Forest. The Flower Forest is a forest of trees, yet full of flowers, located in Barbados. All types of flowers to admire at the Flower Forest Botanical Gardens in Barbados. Flower Forest is a top tourist attraction in Barbados. The heart of the garden is one of the most romantic places in Barbados. Bromeliads at Flower Forest Barbados. Flowers Available to See all Year at the Barbados Flower Forest Botanical Gardens. Barbados Souvenirs and Gifts created by Earthworks. Ceramic Clay Pottery created by Earthworks, Barbados. Things to Take Home from Barbados Earthworks. Barbados Arts and Crafts created by Earthworks. Entrance to Earthworks Pottery in Barbados. Drive-A-Matic Car Rentals is your #1 choice for car hire in Barbados and St. Lucia and is a proud partner of Sixt rent a car. See Barbados by Renting a Car in Barbados with Drive-A-Matic. Park, relax and enjoy the refreshing view of the ocean. Don't you want to be here right now? Explore Barbados with a vehicle from Drive-A-Matic - What a gorgeous view! Staff of Drive-A-Matic Car Rentals in Barbados. Logo of Barbados Drive-A-Matic Car Rentals. Special Offers now available at Drive-A-Matic Car Rentals. Rent a Car in Barbados with Drive-A-Matic Car Rentals. Car Rentals in Barbados with the help of Drive-A-Matic. Car Hire with Drive-A-Matic Car Rentals in Barbados. Rent a Vitara in Barbados at Direct Car Rentals. Car Parked at the Beach - Rent with Direct Car Rentals. Choose a car to get around Barbados at Direct Car Rentals. Drive Around Barbados with a car from Direct Car Rentals. Vehicle rentals are available in Barbados at Direct Car Rentals. See Harry Smith Beach and the great views with the help of Direct Car Rentals. Check out this view of the beach in Barbados - Get there with Direct Car Rentals. Get around Barbados by hiring from Direct Car Rentals. Toyota Corolla Cars available for rental by Direct Car Rentals. Toyota Yaris Deluxe Sedan available to get you around Barbados. Suzuki Swift Cars for Rent at Direct. Hire a Grand Vitara SUV from Barbados Direct Car Rentals. Hire a Jimny from Direct Car Rentals Barbados. Rent a Hyundai from Direct Car Rentals to get around Barbados. Zoom around Barbados in a Kia Picanto from Direct Car Rentals. Suzuki APV Vans available for rent at Direct Barbados. Direct Car Rentals in Barbados offers Suzuki APV CAR Rentals. Family owned and operated - Direct Car Rentals. 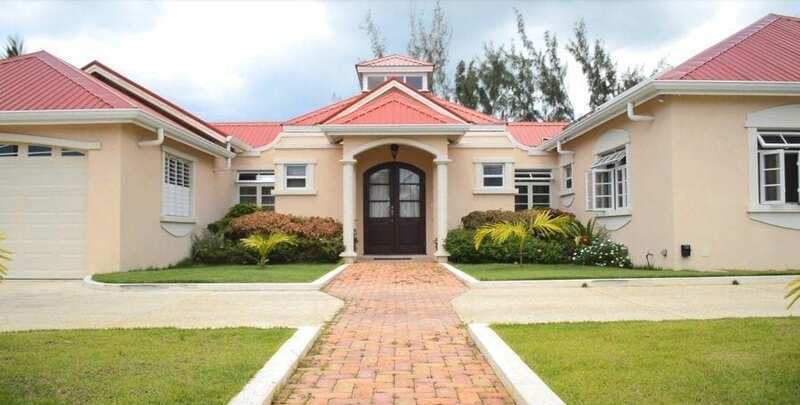 Reliable Barbados Real Estate and Property agents, can be found at Denmar Realty. Relaxing in a pool overlooking the ocean at the Crane Resort in Barbados. Stay with the best at the luxurious Crane Resort in Barbados. Taste Claytons Kola Tonic in Barbados. Claytons Kola Tonic Beverages - made in Barbados. Claytons Vacation Cooler created by Trevor Thompson. Claytons Kola Tonic - made in Barbados. Taste and See how great Claytons Kola Tonic really is. Claytons Kola Tonic is Made in Barbados. Claytons Kola Tonic for the Family - alcoholic and non-alcoholic beverages. Beverages Made in Barbados - Claytons Kola Tonic made of the Kola Nut of West Africa. PANDORA - BARBADOS from March 21st, - 25th, 2019. This is a BIG DEAL - Shop the Save More Event - Spend $150, Save $40, - Spend $250, Save $80 - Spend $400, Save $160. Go shopping in Barbados at Colombian Emeralds International. Watches and Jewelry at Colombian Emeralds International. Special Duty free Prices in Barbados at Colombian Emeralds International. Supporting Golf in Barbados - Colombian Emeralds International. Supporting Charity Events in Barbados - Colombian Emeralds International. Signature Time Pieces Available in Barbados at Colombian Emeralds International. Rings available for purchase in Barbados at Colombian Emeralds International. Barbados Duty Free Jewelry available at Colombian Emeralds International. Dutyfree Necklace and Pendants in Barbados Colombian Emeralds International. Barbados Diamonds - Colombian Emeralds International. Shopping in Barbados for Fine Jewelry at Colombian Emeralds International. Duty-free Jewelry in Barbados available at Colombian Emeralds International. Find all the hidden Barbados beauties with a rental from Chelsea Motors. Going on a family vacation? This 7-seater APV is provides a great deal of space and comfort. Karting in Barbados at Bushy Park. Swift Action Racing at Bushy Park Barbados. Go Karts in Barbados at Bushy Park Racing Circuit. Fans in the Crowd at Bushy Park Barbados. Bushy Park Festival of Speed 2016. Start Line at Bushy Park Racing Circuit. Radical Action at Bushy Park Racing Circuit in Barbados. Between Monday and Thursday - February 16th - March 28th, 2019 get 20% off of the Main Event Menu at Bubbas. Blakey's On The Boardwalk Bar and Restaurant in Barbados. Stop by for a drink and live atmosphere at Blakey's on the Boardwalk. Always smiles at Blakey's on the Boarwalk. 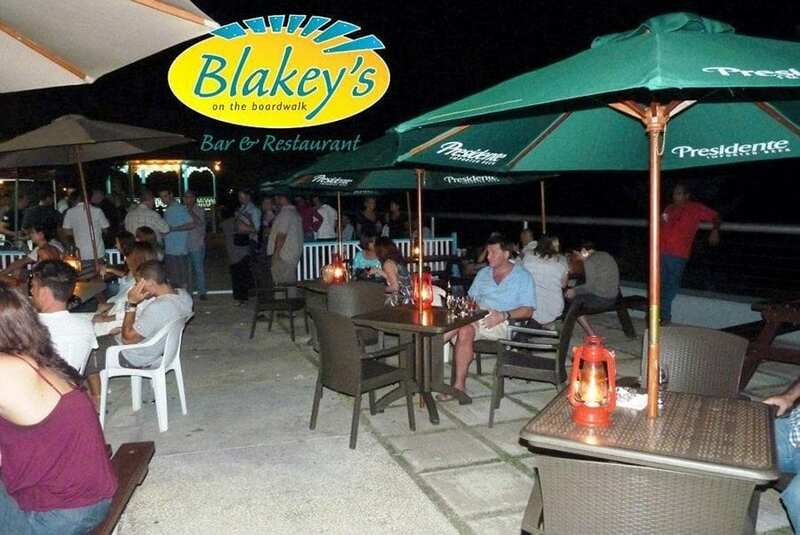 Enjoy the casual outdoor seating at Blakey's on the boardwalk. From beers, to cocktails, to experiment drinks, you can order them all at the Blakey's Bar. Enjoy a candlelit dinner with a view of the south coast beach at Blakey's. Blakey's is always buzzing with life. Live entertainment is always on deck at Blakey's on the Boardwalk. Take a romantic stroll on the boardwalk after dinner at Blakey's. Stunning evening views from the penthouse at Barbados Beach View Hotel. View of the pool and sea at dawn. The pool area at Beach View. Separate adult's and children's pools with the Caribbean Sea as the backdrop. The Poolside Area at Beach View Hotel in Barbados. Spacious Living Areas at Beach View Hotel in Barbados. Relax in style in Beach View's large, comfortable King size beds. Spacious, open plan living and dining rooms. 2 Bedroom at Beach View Hotel. Beach View Hotel Aerial Shot. The Sunset Rooftop Bar at Beach View Hotel. Artist's impressions of new suites at Beach View Hotel. Artist's impressions of new king bedrooms at Beach View Hotel. Artist's impressions of living room at Beach View Hotel. Artist's impressions of Ylang Ylang Villas at Beach View Hotel. Artist's impressions of new reception area at Beach View Hotel. Artist's impressions of twin bedrooms at Beach View Hotel. Cafe available at Beach View Hotel. Monday Night BBQ at Beach View Hotel. Beach View Hotel with Beach Access. Beach Located Opposite Beach View Hotel. Kitchen at Beach View Hotel. Twin Bedroom at Beach View Hotel. Children's Pool at Beach View Hotel. Beach Stroll at Beach View Hotel in Barbados. Children's Pool Fun at Beach View Hotel. Family Fun and Togetherness at Beach View Hotel. Beach View Hotel Pool at Dusk. Pool from Balcony at Beach View Hotel. Garden and Path at Beach View Hotel in Barbados. Tropical Landscape at Beach View Hotel. Breakfast at “The Hut” at Beach View Hotel. Bathroom at Beach View Hotel. Quiet Pool Area at Beach View Hotel. Tranquil Tropical Setting at Beach View Hotel. Gardenside Patio at Beach View Hotel. Cool Down at the Pool at Beach View Hotel in Barbados. Beach View Romance in Barbados. Romantic Sunset Stroll at Beach View Hotel. Garden and Flowers at Beach View Hotel. Go fishing on Betsy B Fishing Charters, a 27ft Albemarle Sports Fisherman in Barbados. A successful day fishing in Barbados – 4 Wahoo caught. On Betsy B Fishing Charters you can expect to catch Wahoo and Mahi Mahi. 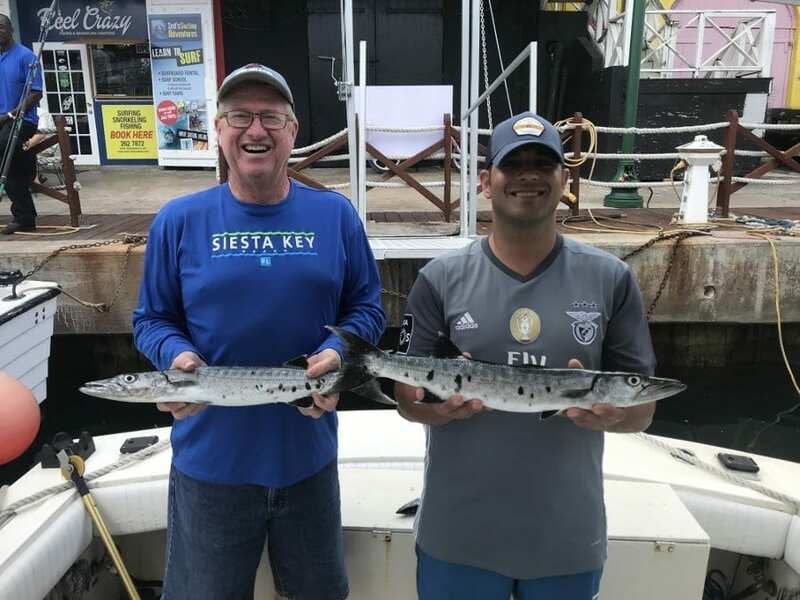 Happy guests with their Barracuda Catch of the Day. Barracudas are popular both as food and game fish. They are most often eaten as fillets or steaks. Two Large Wahoo caught aboard Betsy B Fishing Charters. Wahoo are among the best eating fish in the ocean. 2 Barracudas caught off the shores of Barbados. Female anglers landed a lovely Wahoo on Betsy B Charters. A 35 pound Wahoo caught in Barbados aboard Betsy B Fishing Charters in 2019. Mahi-mahi also called dorado and dolphin are found around the world in all tropical and subtropical oceans. 4 Wahoos were caught on this day in Barbados aboard Betsy B Fishing Charters. Go fishing in Bridgetown Barbados with Betsy B Fishing Charters. Visitor to Barbados with his 25 pound Wahoo. Betsy B Fishing with Captain Dennis Marsh. Betsy B docks at the Careenage in Bridgetown, Barbados. For a fun day go fishing with Betsy B Charters. Back from a successful and fun day fishing in Barbados. Tuna, Barracuda and Wahoo can be caught on Betsy B Fishing Charters. A nice Wahoo Catch of the Day in Barbados. Successful Catch - Wahoo aboard Betsy B Fishing in Barbados. Lots of Wahoo to Eat - 5 Wahoo caught aboard Betsy B Fishing Charters in Barbados. Fish Box on Betsy B with Amberjacks and Mahi Mahi. 40 Pound Wahoo caught aboard Betsy B Fishing Charters in Barbados. 3 Barracudas and 1 Mahi Mahi made for a happy fishing excursion in Barbados. Happy Fishing Excursion in Barbados with betsy B Fishing Charters. Having fun on the top deck at Bath Beach House Getaway. Family Trip to Barbados - visit Bath Beach House Getaway. Kayaking with Bath Beach House Getaway in Barbados. Tour Barbados and See Bath Beach House Getaway. Seascape, our Beach House Getaway. Ladies Lunch Lime at Bath Beach House Getaway. Looking towards Consett Bay from Bath Beach House Getaway. Recommended things to do in Barbados - Visit Bath Beach House Getaway. Walking on Bath Beach with Bath Beach House Getaway. Boat on Calm Sea at Bath Beach House Getaway. Go sightseeing and touring with a view of Bath Beach in Barbados. Snorkeling at Bath Beach with Bath Beach House Getaway. Sightseeing walk with Bath Beach House Getaway. Your Kayak awaits at Bath Beach House Getaway. Say “I Do” against the glowing backdrop of a beautiful Barbados sunset. Let Barbados Weddings…beyond your imagination fulfil your Barbados beach wedding fantasy. Have a picture perfect wedding day on a picture perfect Barbados beach with Barbados Weddings…beyond your imagination!! A barefoot Barbados beach wedding is a popular choice for many couples. Jump for joy and celebrate your Barbados beach wedding with Barbados Weddings…beyond your imagination!! Beautiful Barbados beach wedding elegance. Create your own unique Barbados wedding day memories with Barbados Weddings…beyond your imagination!! Be swept off your feet on one of the many beautiful Barbados beaches. Celebrate your barefoot beach nuptials in Barbados to the sounds of a tropical steel band. Let the natural beauty of Barbados enhance the beauty of the love that you share on your wedding day. Promise forever on the brow of a natural, rugged Barbados sea cliff, with panoramic ocean views. Barbados Weddings…beyond your imagination creates the wedding setting of your dreams. Say a tropical “I do” beneath the palm trees on a beautiful Barbados beach. Barbados Weddings…beyond your imagination tropical island flower bouquet. Have the Barbados beach wedding of your dreams with Barbados Weddings…beyond your imagination!! Let Barbados Weddings…beyond your imagination help you to create a day full of unforgettable memories. Beautiful Barbados beach wedding setting. Let the Caribbean Sea provide the perfect backdrop for your beautiful Barbados beach-side wedding. Barbados Weddings…beyond your imagination beach wedding setting. Be it simple or extravagant, Barbados Weddings…beyond your imagination will provide the perfect décor. Sunset wedding décor by Barbados Weddings…beyond your imagination!! Barbados beach wedding “I do”. Say “I do” on a beautiful exotic Barbados beach surrounded by your closest friends and family members. Barbados Weddings…beyond your imagination beach setting chic. “Barbados beach weddings to go” simplicity with Barbados Weddings…beyond your imagination!! Beautiful Barbados garden wedding setting by Barbados Weddings…beyond your imagination!! Tropical or traditional, large or small, Barbados Weddings…beyond your imagination will personalize your Barbados wedding bouquet to your satisfaction. A beautiful Barbados beach is the perfect stage for your wedding in paradise. With Barbados Weddings…beyond your imagination “beach weddings to go”, shoes are always optional. Transport your wedding guests in “old time Barbados style". Beautiful barefoot Barbados beach wedding serenade. Say “I do” in exotic Barbados surrounded by your closest friends and family members. Beautiful Barbados beach wedding simplicity. If your choice is a traditional cool coral stone church - Choose Barbados Weddings...beyond your imagination!! Barbados beaches, Barbados Weddings…the perfect combination. Choose a Barbados destination wedding – Choose Barbados Weddings…beyond your imagination!! Barbados Weddings…beyond your imagination specializes in bespoke weddings and helping to create lifelong memories. Barbados Weddings…beyond your imagination - Get Married in Barbados on the Beach. The Entrance to Wildlife Reserve is shaded with trees and the cobble stone pathways and the huts are where our friendly staff greet you! A Green Monkey at the Barbados Wildelife Reserve. Appreciate this Monkey's strut with visual of the golden green fur and pale hands and feet, the tip of the tail, cheeks and whiskers are golden yellow. The Mother Green Monkey are very protective over their young and usually take care of them for the first year before allowing them to live as adults. See the sunbathing lazy reptiles in the Iguana Sanctuary at the Wildlife Reserve. These reptiles have a "third eye" on their heads which is a light sensing organ and does not make out detail but brightness. Be sure to look out for the parietal eye! Along the footpaths through the forestland the undergrowth reveals the Brocket Deer and "Mara" at the Barbados Wildlife Reserve. Have fun with the Brocket Deer and "Mara"
Monkeys are very playful and can be seen running to and fro through the trees and swinging from the branches. They use facial expressions and body language to communicate their emotions. Barbados Green Monkeys hanging out at The Barbados Wildlife Reserve, they are highly social and communicate with distinct calls. These Barbados Green Monkeys are seasonal breeders usually breeding in the months of April to June during the months of heavy rainfall. Infant mortality is high at about 57%. The Barbados Mother Green Monkey caring for her infant while the baby monkey lovingly stays close. The exceptional photo gives a sense of security to the relationship. Budgerigar sometimes called "Budgie" are small long-tailed parrots. Other known names are pet parakeet or shell parakeet. These Budgerigar have distinct long tails and they snack on seeds. At the Barbados Wildlife Reserve you with see Brocket Deer and "Mara". This species of deer are medium to small in size. This stunning pose of the Male Peacock gives you a visual of the length of his plumage and radiant colour of his breast and the distinct feathers of his crown. Scenic grotto with unusual rock formations along the sloping brick pathway. The Mother Green Monkeys at Barbados Wildlife Reserve caring for her infant. Agrofest 2019 Theme: Full We Pocket. Eat Local! Spectators visit Agrofest in Barbados. Agrofest 2019 - All snow cone spaces have been completely sold out! Come and witness the crowning of the Best Barbados Blackbelly Sheep on Show @ Agrofest 2019. Come out to see Agrofest Tents and Exhibitions February 22nd - 24th, 2019. Agrofest was conceptualized by the Barbados Agricultural Society in 2005. Agrofest is an open air agricultural exhibition. Agrofest 2019 - Registration for Exhibition Booths continues until January 25, 2019, or until Sections have been fully Subscribed. Agrofest 2019 - Three days of new, exciting exhibits and technology on display!